Aspar KTM rider Jonas Folger has taken the second pole position of his career at Valencia today for the final race of the 2012 season. Folger will start ahead of Spaniard Miguel Oliveira and Frenchman Luis Salom. 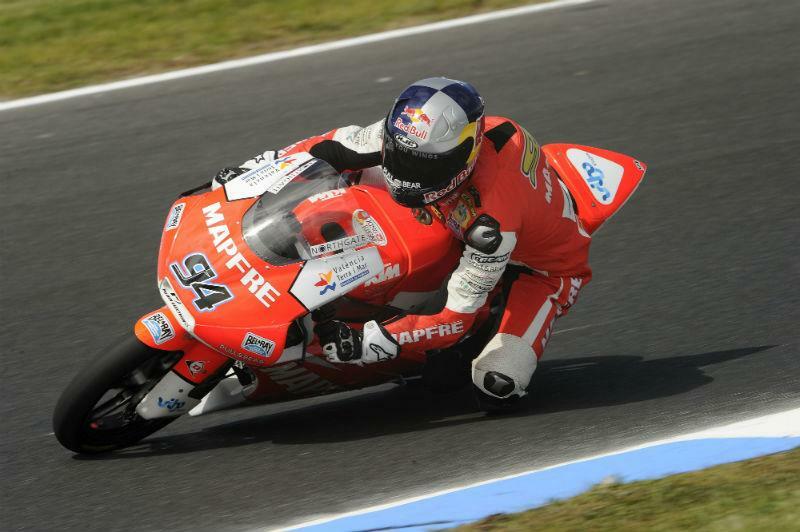 Moto3 champion Sandro Cortese will start his final Moto3 race from fourth place on the grid. Maverick Vinales - who will hope to secure second place in the championship will start from fifth on the grid. KTM rider Danny Kent will start from seventh on the grid in his final Moto3 race before moving up to the Moto2 class with Tech 3 next year. Brit John McPhee, who was quickest yesterday in damp conditions, will start from 29th on the grid ahead of fellow Brit Danny Webb in 34th.